iPhone app now works with Siri Speech Recognition! 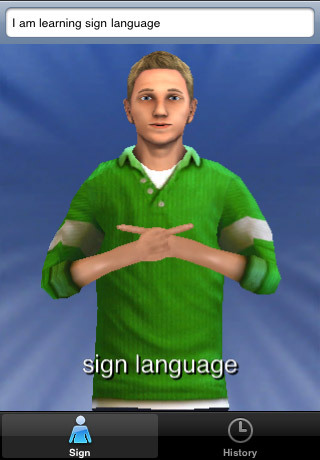 Sign 4 Me is the ULTIMATE tool for learning sign language. 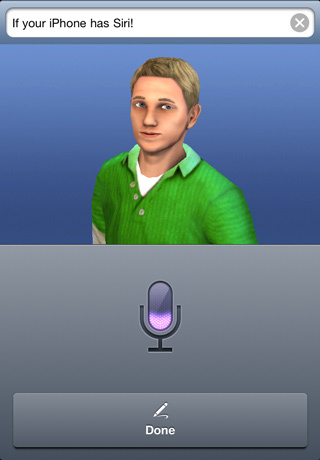 The ONLY iPhone and iPod touch app using a full-body avatar providing sign language instruction in 3D! Featured by Apple as New and Noteworthy!! Our 3D character can be zoomed in or out and rotated to give you the best vantage point for every sign. YOU control the placement of the character - not us! No other product lets you do this! The library includes more than 11,500 words. Type in sentences, phrases, words, and the alphabet. If your iPhone has Apple's Siri Speech Recognition, then Sign 4 Me will also translate your spoken words into Signed English. Everything you enter will be saved in your History. Easily locate your entries by date or alphabetically. Delete whatever you don't want to keep. Use the controls to speed up or slow down the signing; turn on or off the looping feature; and send the character to his "home" or default position. 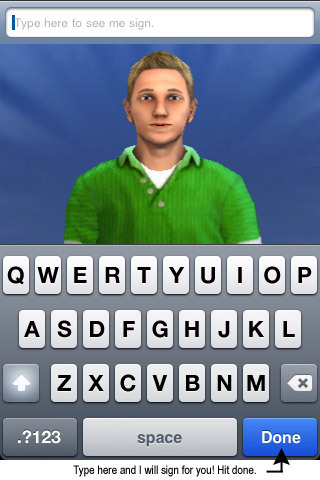 Vcom3D, the original developer of SigningAvatar® sign language software using 3D characters, wants you to be able to learn sign language the way you need to communicate. If you have a friend or co-worker who is Deaf or Hard-of-Hearing, now you can learn signs to communicate with them. The playback is in Signed English for the hearing person who wants to learn basic sign. Our ASL team of 8 Deaf professionals created these accurate ASL signs based on their native knowledge of sign language. NOTE on Signed English VS. ASL - Sign 4 Me includes ASL hand signs in English word order. The grammars of Signed English and ASL are different. For example, "What is your name?" in Signed English uses the same signs as ASL, but in the exact word order of the English sentence. Using ASL grammar would change this to "Your name what?" If you type or speak in ASL word order, Sign 4 Me will use that word order. Dynamic translation from English to grammatically correct ASL is a complex problem including more than word order differences just as translation from any language into another would. We are currently researching mapping English grammar to ASL grammar. This product is intended for the beginning learner or anyone with an interest in learning signs. We hope to foster better communication between the hearing and the Deaf/Hard-of-Hearing communities. Just $9.99! on the Apple App Store.